The Competition Joystick is a third-party joystick created by Dynacom for the Sega Master System. It is available in two colours; a black/blue variant and a white/red one. 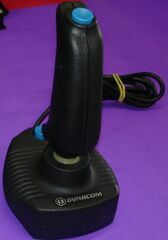 Like most of Dynacom's products, the Competition Joystick was only available in South America.